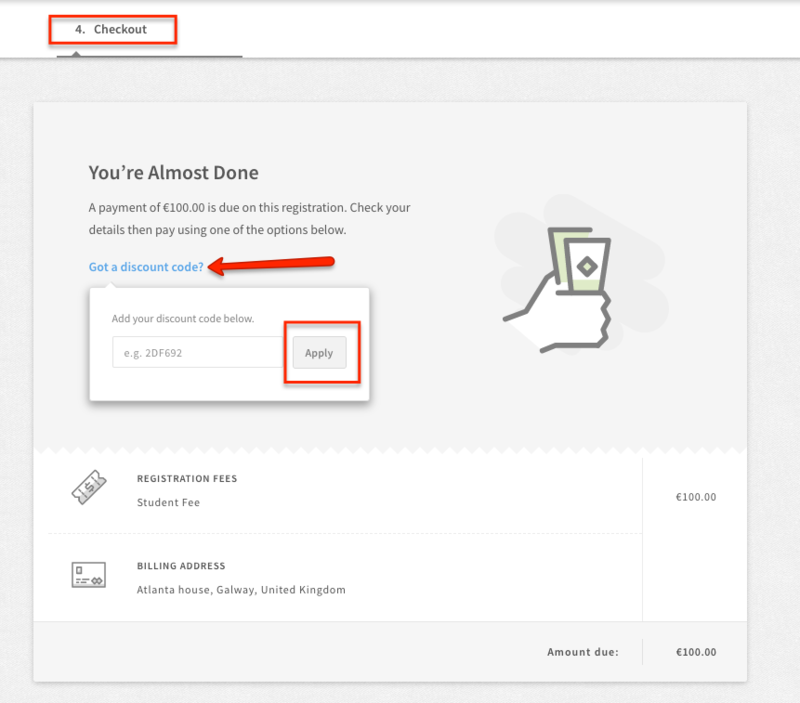 Discount codes allow you to purchase some or all of the registration items with a different, usually lower price than the regular one. 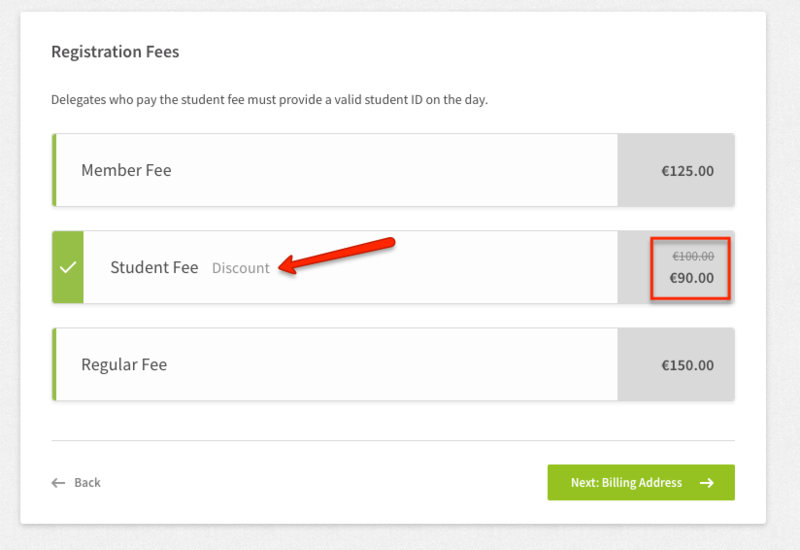 Discount codes are specific to each conference and fee. 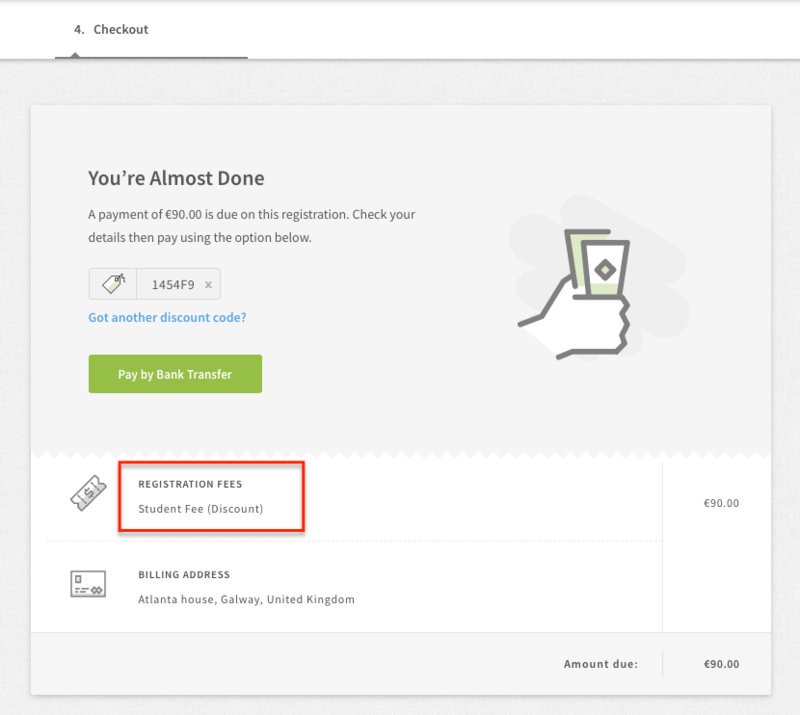 One discount code can reduce the price for one or multiple items in your registration and it can be generated only by the conference organisers. 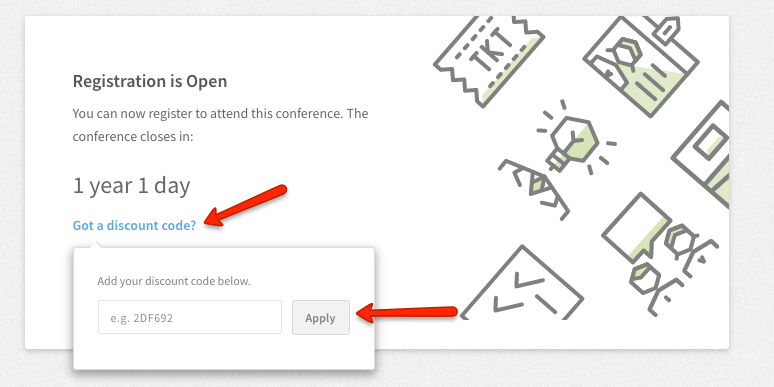 Once you have your conference discount code you can add it to your registration in two different places while completing your registration process. You can always add more than one code if you have it.